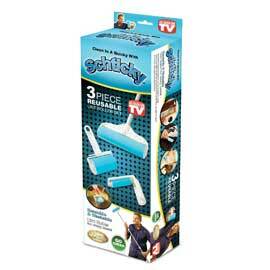 The Schticky is a re-usable lint roller that can be used on a variety of surfaces to clean many types of messes. 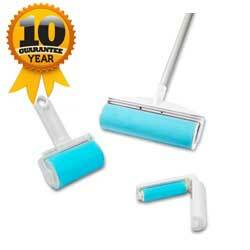 This roller ia a great solution for quickly cleaning up lint, dust, dirt, and hair. The Schticky is made from a special silicone that gets slippery when wet but sticky when dry, making the roller easy to clean by rinsing it in water while maintaining the roller’s stickiness. Because it is re-usable, the Schticky can save up to $100 a year over paper-based lint rollers.